Microsoft has announced that the Games for Windows Live service will not be shut down on July 1st as had been rumored. The Games for Windows Live service brings over many Xbox Live features to the PC area. However, many gamers felt that the service was superfluous, and didn’t function well when compared to its competition. This was probably one of the longest running and most solid rumors in the history of gaming. 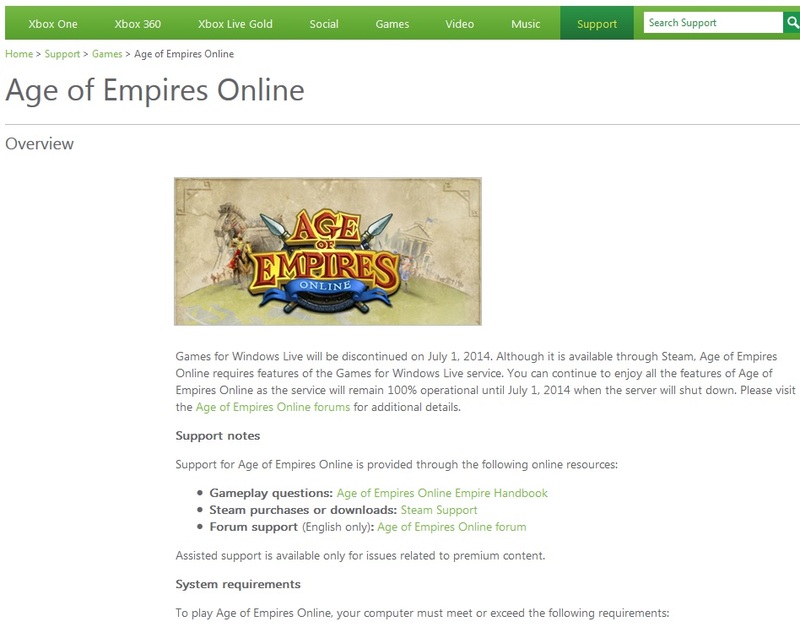 In fact, the rumor began when Microsoft’s website accidentally posted a shutdown notice on the Age of Empires Online store page. The notice was removed quickly, and Microsoft remained silent on the matter. Since then the Xbox.com PC marketplace was shut down, and multiple games such as Batman: Arkham City and Bioshock 2 have patched out support for the service in favor of Valve’s Steamworks. Whether or not the service is truly shutting down, it is becoming less and less popular by the day. Games that used to utilize the service are moving to Steamworks. Similarly, new entries in series that had previously used Games for Windows Live are not using the service at all. Looking at the statement from Microsoft, it seems like they are simply keeping the service running so former customers aren’t left with a bunch of unusable games. The fact that the rumor ran so long without comment leads me to believe there was an internal debate going on at Microsoft. They knew the Games for Windows Live service should be either shut down or dialed back, but were unsure how to go about it and how far to take it. This statement likely means a decision was made to keep the service, but not move forward with it for future titles.